I want to talk to you about money. At the moment you probably think that there is an endless supply of money. That Mummy and Daddy can simply pop to the bank and get more whenever we run out. I’m sorry to say that this is not the case. Money like most things in life is earned through hard work. Whether you have very little or way more than you could ever need, you need to know what to do with it. It is all about management. When Daddy and I moved in together we had no idea about budgeting. We didn’t know how to make sure that our monthly wage lasted all month nor how to prioritise the essentials over the luxuries. As the years have gone by we have learned this skill and our lives are much better for it. We know when we are able to treat ourselves to a takeaway and when we really should have something from home as the bills haven’t been paid etc. It might seem like a pointless exercise but keeping track of all your expenses throughout the month. Including those little treats like Starbucks, magazines and trips to the cinema will help you understand where your money is spent each month and just how much you can use for treats after your bills have been paid. Up until Mr. Boo was made redundant a few years ago we lived month to month. We never really had any savings, we didn’t think we had enough money to put away each month. Let me tell you, being made redundant unexpectedly really shows you just how much savings are important and how much ‘extra’ money you really do have. Whilst putting a lump sum of money away each month when you get paid might seem daunting try setting up a standing order for £5, £10 or £15 to leave your account every Monday. 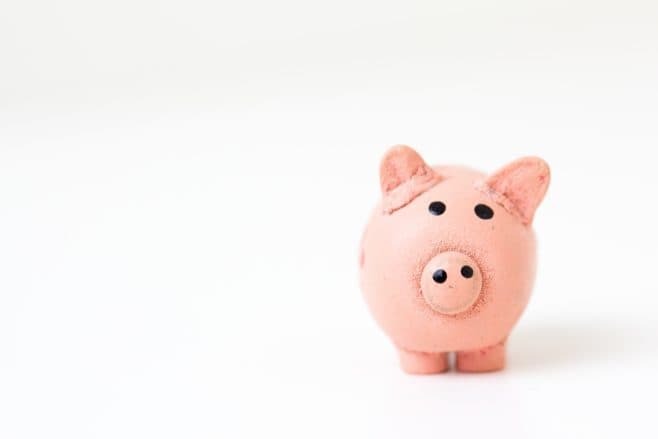 The chances are you won’t notice that small amount being transferred into a savings account, however, by the end of the year you will see just how much you have saved. Daddy and I want to take you on nice holidays, we want you to be able to study when you leave school, we want to know we have money put aside for a rainy day. It can be difficult to do this by saving alone but investing can seem scary. We don’t want to risk losing the money we work so hard to make. Make sure that you have a smart investment portfolio that lets you put money away for your long-term future. Unless you become experts yourselves, then make sure you get expert advice first. The internet is making it easier to invest well. I just opened our first investment portfolio with invest.com and feel that bit more secure that I am doing something right for our future. When I started in the NHS at 18 years old I opted out of the pension scheme. I never expected to stay within the organisation so thought it was pointless. Plus being just 18 years old it was years until I was going to retire so why would I need to start planning and paying for it now. Some 15 years later and I’m still working for the NHS, that’s 15 years’ worth of pension I could have put away and had some sort of plans for when I finally do retire. Finally, find a job that you love. One that you don’t mind getting out of bed everyday to do. One that makes you happy and that you enjoy rather than clock watching the hours down until you get to leave. As long as it pays enough to allow you to live the life that you want to lead then choose that job over the one that one that pays twice as much but will make you resent all the hours you put into it. I so agree with you when you say money isnt everything and just do a job that you love, it isnt worth being misrable for money.